The rules and regulations are set in place for the safety and security of all our guests and staff. Any violation of these rules may result in immediate ejection from the park. Please keep your site clean and leave it as you found it. Please be courteous of the other guests and use only roadways and access paths. Walking or biking through other campsites is prohibited. No chain saws are to be run without management’s permission. No cutting or damaging trees. No nails in trees. Small pets are allowed on a leash. Pets are not to be left outside unattended or barking. You must clean up after your pets. Pets are not be left outside after sundown. We do not allow large dogs that are noted for aggressive behavior. Fires are permitted in fire rings only. They are not to be moved without management permission. Fires are not to exceed 2ft high. Fires must be attended at all times. There will be no permanent structures erected on any sites such as decks or storage buildings, unless given permission by the management. Sites must be maintained in a neat and orderly fashion. You must speak to management for a list of approved underpinning materials. There will be no rock throwing of any kind. Children that get caught throwing rocks will be considered too young to be off their campsites by themselves. Quiet time is from 11:00pm to 8:00am. All minors must be on their site at this time. Only two vehicles allowed per site. All vehicles must be parked on your site, not in the road. Additional parking available at the office. Playground hours are from 8:00am to dusk. Do not allow children to remove sand from the sand box or gravel from the playground area. 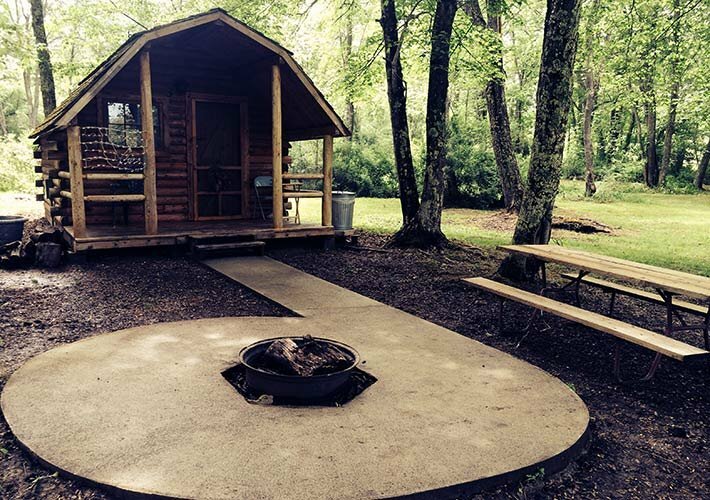 All campground buildings are non-smoking. There will be no subletting of sites. There will be no soliciting of any kind. Outside refrigerators or freezers are prohibited. No electric space heaters allowed on sites without electric meters. You must keep your belongings on the site you have rented. Do not park or store anything on sites that are empty, they could be rented at any time. All trash must be placed in the trash cans provided. Prior to your departure, place trash in dumpster beside the office. RV Sites: Check In time is 3:00 pm. Check out or re-register by 11:00 am. 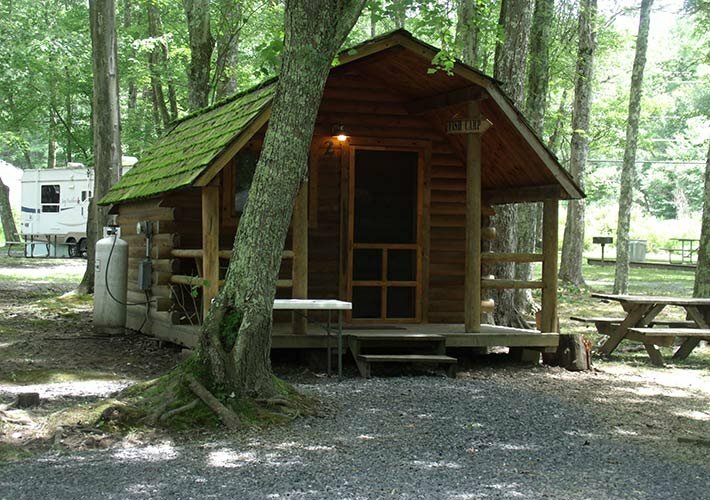 Camping Cabins: Check in time is 3:00 pm. Check out time is 11:00 am. Tent Sites: Check in time is 3:00 pm. Check out time is 11:00 am. If you wish to stay after check out time, please come to the office to ask about fees for late checkout. All sewer connections must seal and lock air tight. 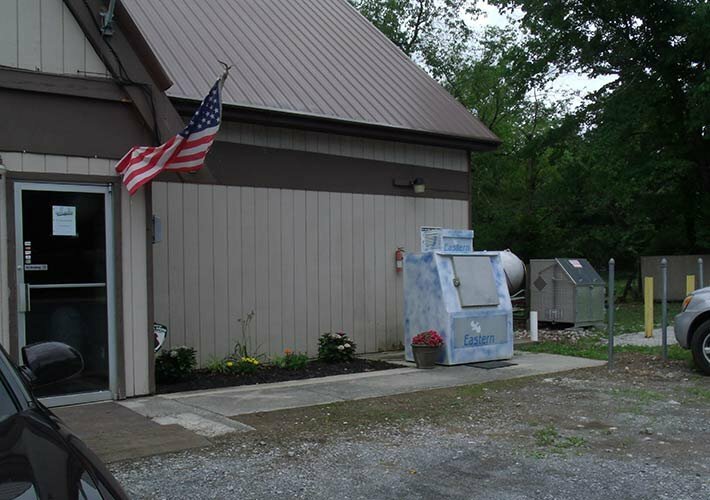 All guests are responsible for depositing their trash into the dumpster provided to the right of the main office. Please keep your site clean. There will be a $30.00 fee for excessive clean-up. Please respect your neighbors- DO NOT cut through their site. Quiet time is between 11:00 pm and 8:00 am. Quiet hours will be strictly enforced. Speed limit is 5 mph while in the park. Campfires must never be left unattended. Please be sure to extinguish all flames before leaving the site or going to sleep for the night. Fire rings are provided for each site, please do not move them. check-in if you need parking for additional vehicles. All guests are responsible for their conduct and that of their visitors, children and pets for any damages resulting from their actions. Children under the age of 14 must be under the adult supervision at all times and follow appropriate safety rules while biking or participating in any other activities. 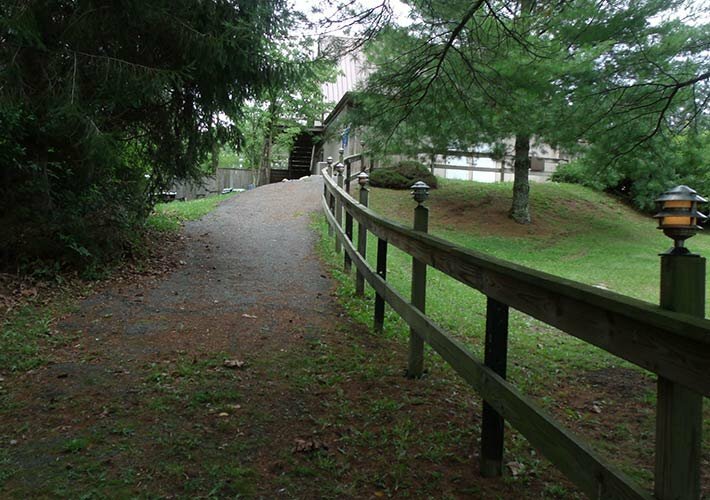 All vehicles driven within the park must be quiet and can only be driven on roadways. Only licensed drivers may operate a motorized vehicle within the park. Riding bicycles after dark without proper lighting is prohibited. We advise each of our guests to exercise caution with their personal property. Please ensure you lock up bikes and lock your vehicles. We advise the use of pressure regulators for water and surge protectors for electricity. 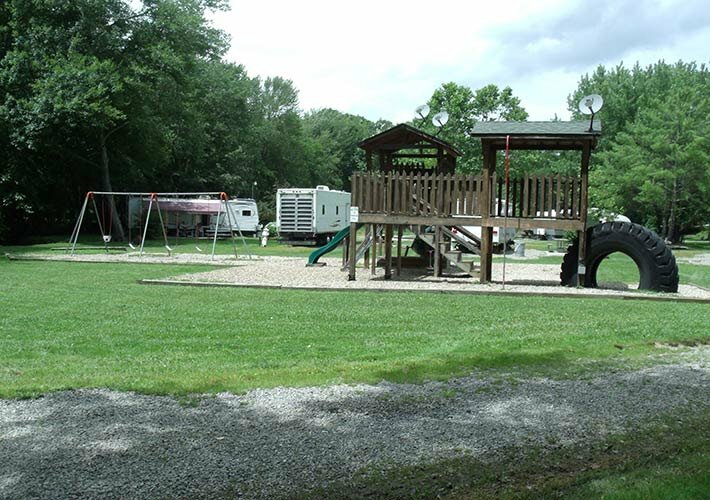 Pipestem RV Park & Campground is not responsible for any damages to your personal property. This property is privately owned. We reserve the right to refuse service to anyone and will not be responsible for accidents, injuries or loss of any cause. outside. Aggressive behavior towards guest or other pets will not be tolerated and guest may be asked to leave the park. Trees are a big part of our park’s beauty. They are not to be defaced or destroyed. Do not carve, nail or chop down trees. Free firewood is available, please ask someone at the main office. If any trimming is needed, please contact our office staff. Temporary clotheslines are allowed at your site. Clotheslines must not be permanently attached to trees, fences or buildings. Facilities may be temporarily closed for maintenance or other health and safety related issues. Please observe all closed signs as posted. Firearms must be kept in a safe and secure place in accordance with State and Federal laws. No fireworks or firecrackers of any type are prohibited without management’s consent. Please place satellite dishes as close to your RV as possible and use weights, not stakes, to secure it. Please do not smoke in any buildings. Please observe no smoking areas and dispose of cigarettes properly. DO NOT toss them on the ground. Please do not wash dishes in the bathroom facilities. This is for sanitary reasons. 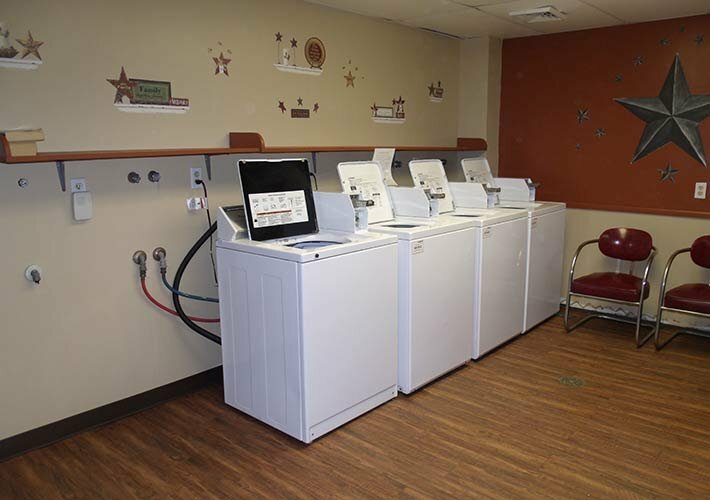 The Park offers a laundry facility for your use. Quarters are available at the office. Please do not wash pet beds or rugs in the wash machines. Please check in at the office to purchase propane. The Park offers two restrooms with showers located throughout the Park. Dishwashing is prohibited in all facilities for sanitary reasons. To connect to our wireless network, click the Wi-Fi icon in the system tray in the bottom right hand corner of the screen. This will interfere with the Wi-Fi while other guests are trying to use.